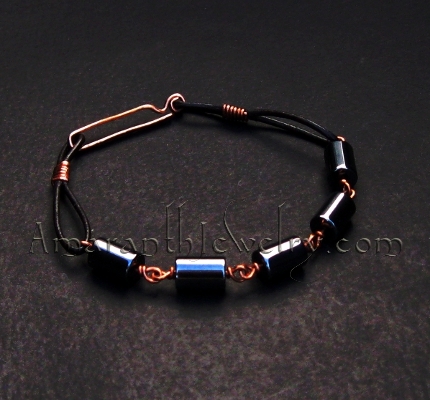 Hematite, leather and copper bracelet, 9.5"
Striking men's bracelet of smooth leather and cool Hematite offset with warm copper detailing and hand-wrought clasp. Sure to draw attention! 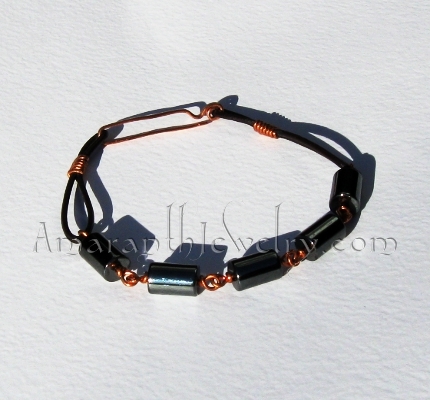 Hematite is a mineral of iron oxide, with colors ranging from red to brown or silver-gray to black. It becomes magnetized when heated, is somewhat brittle and scratches fairly easily, so it should be kept separately from hard or rough items. 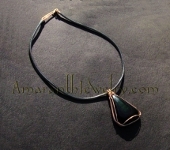 It is believed to be grounding and energizing at the same time.